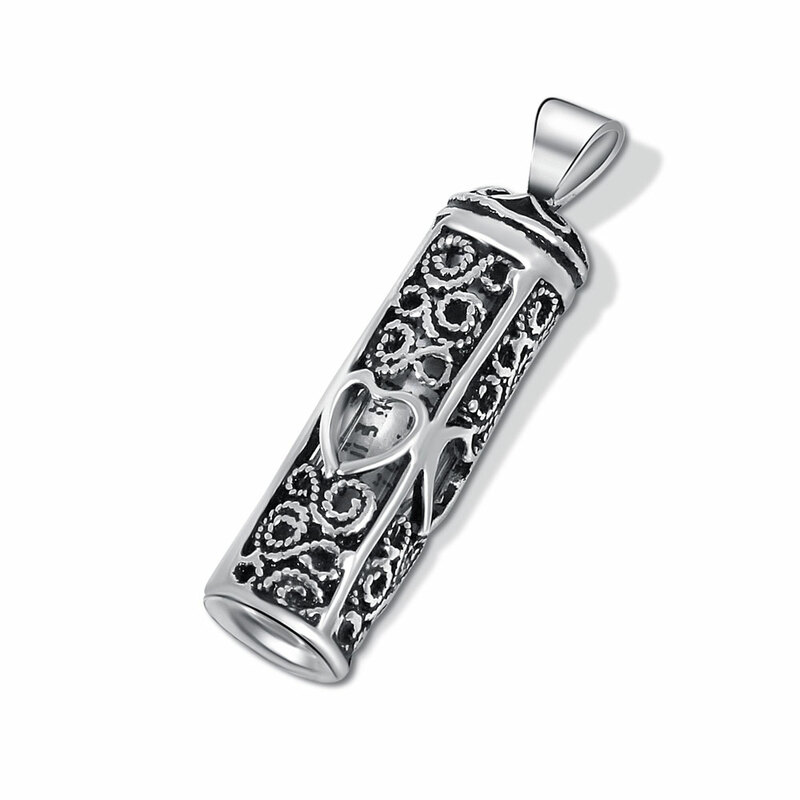 Sterling silver round Mezuzah Pendant with a complete Legible Mezuzah scroll set inside. Intricate filigree designs all around with heart shaped windows. The scroll is set into a sealed glass tube. Measures: 32mm H x 8mm W (1.26 x .31 inch).